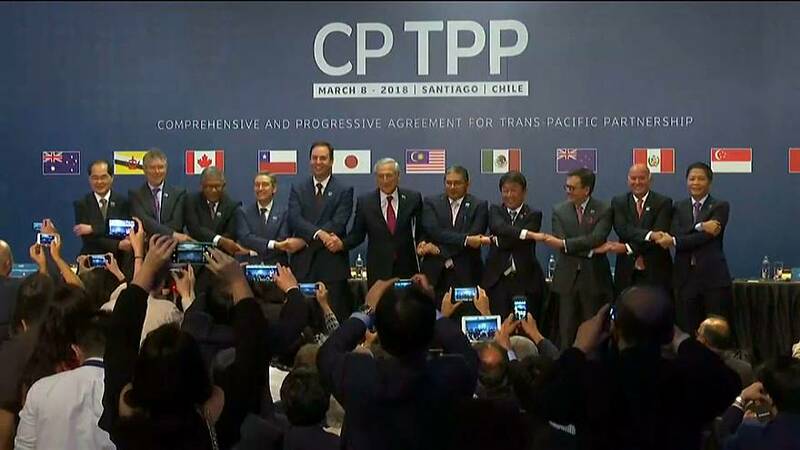 As US President Donald Trump pushes ahead with tariffs on steel and aluminium imports, around 8000km away in Chile a landmark Asia-Pacific free trade deal has been signed by eleven nations, including Japan and Canada, but not the United States. The deal aims to streamline trade and slash tariffs – a powerful signal against protectionism and trade wars, Chile's minister of foreign affairs said. An original 12-member agreement, known as the Trans-Pacific Partnership (TPP), was thrown into limbo early last year when President Trump withdrew from it three days after his inauguration. Even without the United States, the deal will span a market of nearly 500 million people, making it one of the world's largest trade agreements.